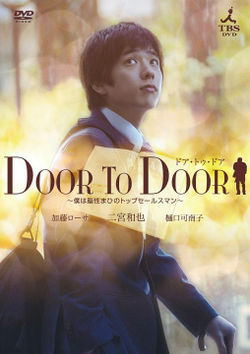 Door-to-door is a sales technique in which a salesperson walks from one door of a house to another trying to sell a product or service to the general public. A variant of this involves cold calling first, when another sales representative attempts to gain agreement that a salesperson should visit. Door-to-door selling is usually conducted in the afternoon hours, when the majority of people are at home.